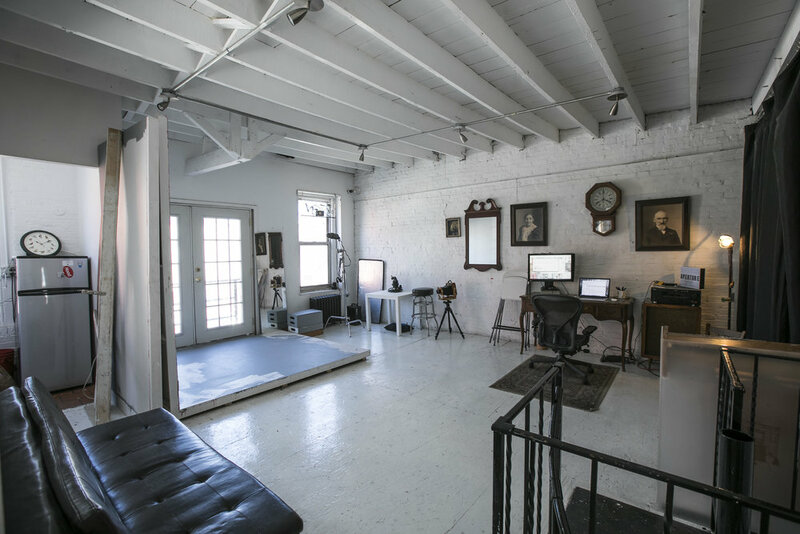 TEN10 Studios is a dedicated photography studio and the headquarters for Jesse Winter. The studio provides private, street accessible shooting and a creative environment for making work and developing projects. The space is centrally located close to midtown Manhattan in a rapidly growing neighborhood that has retained an authentic spirit of community. With two floors of creative space and a variety of lighting options, there is flexibility for a photography session to have the freedom to go in multiple directions. The upstairs studio incorporates a north light stage with exposed brick and wood. The downstairs studio is ideal for more controlled lighting setups and features a 9 foot seamless backdrop. TEN10 Studios has also served as an incubator for the arts community in Long Island City and New York City at large, functioning as a meeting space, art gallery and performance venue. info@TEN10STUDIOS.com or 917.449.9539 for more information. The downstairs studio is street accessible in the bottom floor of a converted carriage house. It features a 9' seamless backdrop and the ability to completely control the lighting for any shooting needs. The upstairs studio has the feel of a loft space living room with exposed brick and wood. It also features a recently built north light studio for great natural lighting shots. Hand screen printed hoodie featuring the Ten10 studios logo. Available in Grey, Blue and Dark Grey.